Team manager Garry May described the club's first ever visit to Arlington as "disappointing" after the Eastbourne Eagles had annihilated his side by 63-27 on Saturday night. 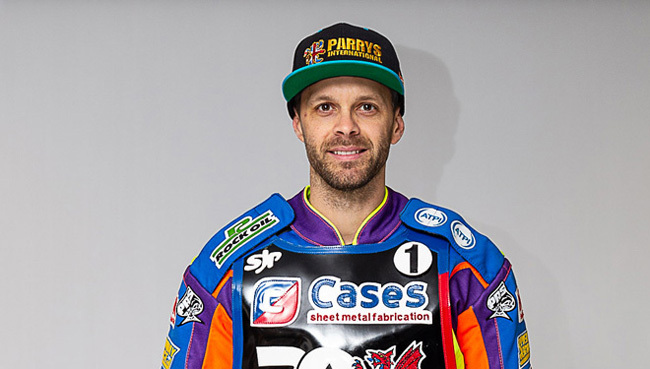 The 'Cases' Rebels were never given a look in even though Rory Schlein headed home track specialist Edward Kennett in the opening heat, but that was the only point dropped by the home skipper throughout the meeting. It was a similar story for ex-Rebel Lewis Kerr, whom Schlein beat in heat 5 whilst Richard Lawson was totally untroubled by his former club. May admitted "I am really disappointed that we were beaten so easily but they (Eastbourne) were just a class above us. We had a false dawn with Rory inflicting a rare defeat on Eddie in the opener and we didn't help ourselves by not gating. The meeting was scarce of passing, and it was important to be in command at the first turn but we just couldn't get there." Somerset were on course for only their third race winner in heat 8 until leader Todd Kurtz fell on the second turn of lap four that gifted the Eagles maximum points, one of six that they banked on this tough night for the Rebels. Kerr's avenged for his earlier defeat by Schlein by heading him home in heat 9 when the Rebels' number one had been drafted in as a tactical substitute. The beaten visitors had cause to feel aggrieved twice in heat 13, firstly when it was adjudged that the cause of Edward Kennett going far too earlier and smashing through the tapes was due to a "start marshal infringement". Then, in the re-run skipper Chris Harris was the victim of a nasty looking first bend fall, but rather than call all for back, the referee opted to disqualify Harris from the third attempt. Rebels' newcomer, Valentin Grobauer, on his first visit to Eastbourne was withdrawn after a tricky crash in his second ride and May explained "He gave his wrist a bit of a knock and he was feeling uncomfortable with it so we had to pull him out, mainly as a precaution. We're hoping that with a bit of rest to it he will be ready for our next trip, to Birmingham on Wednesday night which is now a must win if we are going to keep our chances of qualification open. This heavy defeat has done our points difference no favours at all."